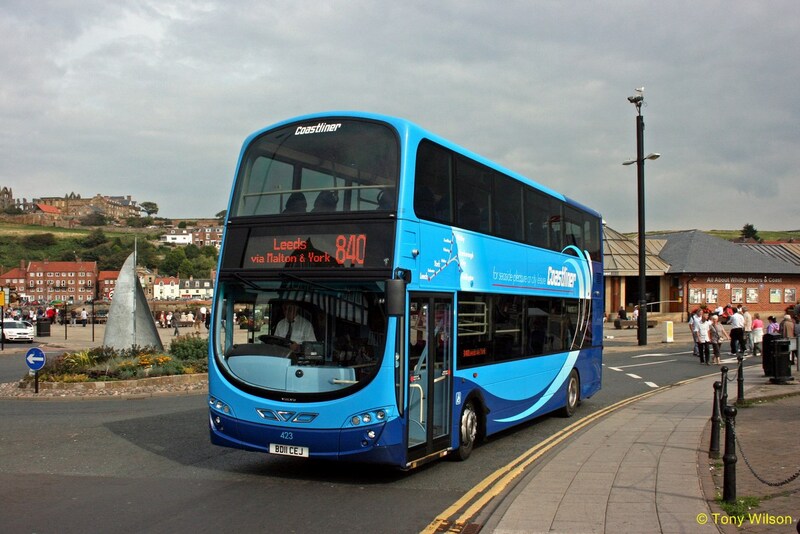 A double-decker serving the North York Moors has been crowned the "most scenic" bus route in Britain. 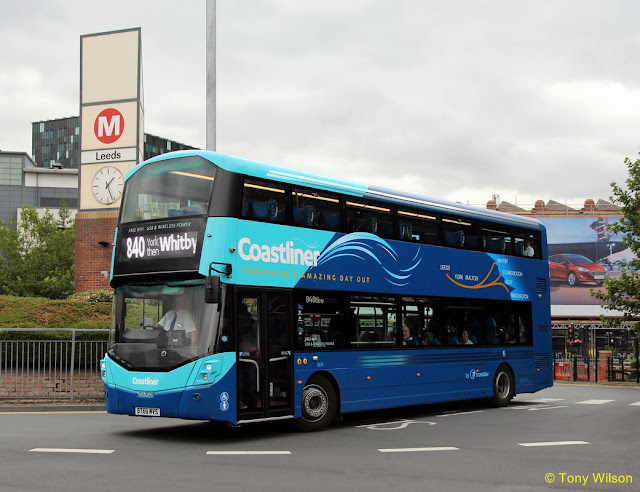 The 840 Coastliner runs from Leeds to the coastal town of Whitby. But it's the leg that crosses the moorland, from Pickering via Goathland and Sleights, that has earned the service the prize. At the wheel, driver Adam Davis knows why: "You can get some misty days when you come out on top but on a clear day the colours up here are forever changing. "People do come from all over the world to ride this route. Every day is a joy." 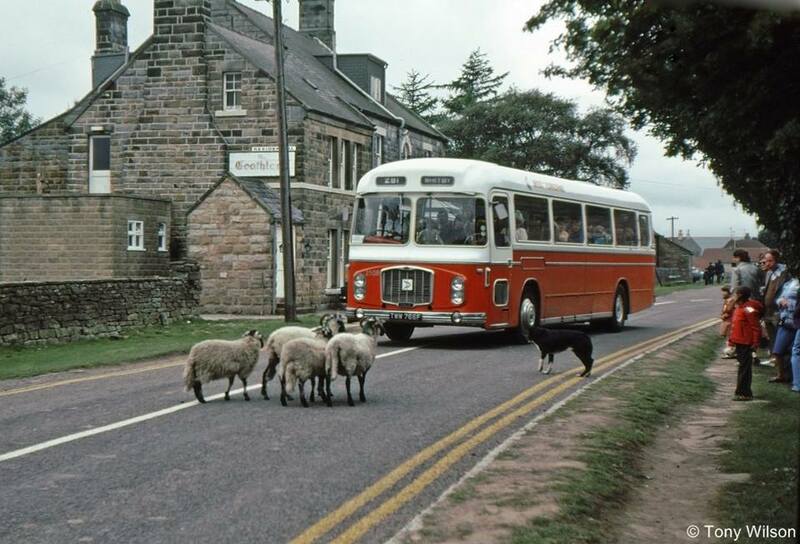 "I've been travelling up and down the country by bus for many years and on fantastic routes like this one the scenery is just spectacular," he says. "Rural communities do need bus services and they are a lifeline for many people. So I felt they deserved a little publicity to attract new passengers." Mr Kirby did not just want to encourage people out of their cars but also to cherish services when funding has been squeezed. The 840 runs four times a day, is completely commercial and run by Transdev. But it relies on subsidies in winter time and reimbursement by the local authority for the many users with a bus pass. Les and Janet use it to get to their caravan in Thornton-le-Dale: "We've been using it for a long time, all on our bus pass. If we did not have the bus we would not get out because fuel is so dear." Kate has epilepsy so cannot drive: "It's important for me to get to places I've been visiting all my life - I would not be able to get to the outdoors, which I love very much." One pensioner always makes it up to the top deck so she can enjoy the best views from the front seat. Another even said her dog refuses to hop on any other bus. But as loved as it is, services like this one are under threat. Last year more than 500 routes in England and Wales were reduced or completely withdrawn and now fewer than half of people living in villages have access to a bus service, according to the Campaign for Better Transport. About £30m was cut from local authority subsidies in 2016-17 - with shire councils in rural England the hardest hit. The campaign group says those cuts have continued this year too. "Tragically once these routes are lost they are usually lost forever, leaving whole communities looking like 'transport deserts'," says Steve Chambers, the group's public transport campaigner. "We hear frequently from older people who are struggling to access shops and doctors' surgeries and young people cut off from colleges and jobs. Buses are a lifeline and must be preserved." The Department for Transport says it provides £250m a year for bus services, which supports free off-peak bus travel for 10m older people and the disabled. 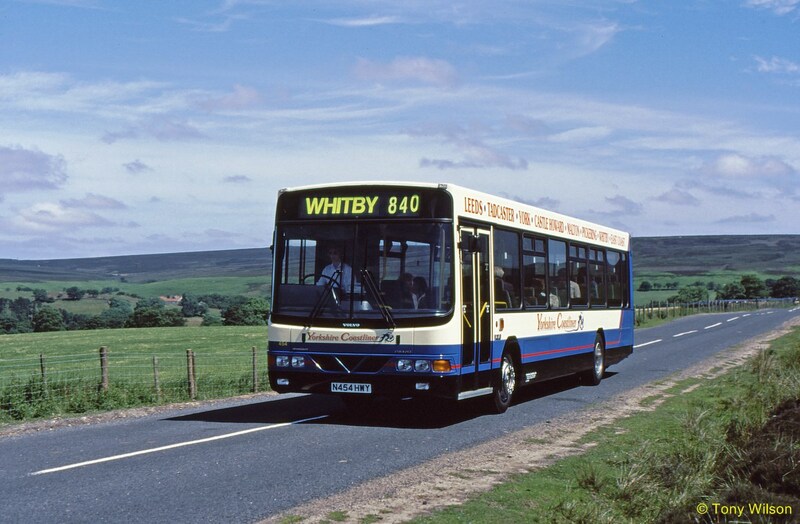 "Long-term social and economic factors are affecting levels of bus usage but it is for local authorities to decide which bus operations to support in their areas," it says.In another part of North Yorkshire, volunteers have stepped in to provide services between villages and across the National Park, where some local people feel abandoned. "We rattled a cap until we found enough money to keep a service running," says Eden Blyth, from Moors Bus, which runs a handful of services over weekends. "We take people where they want and they have to come first. I think they'll always be needed and we are happy to do it." His team are now hoping to tap into the hiking community to boost passenger numbers and keep the wheels turning. But the volunteers and paid driver Adam Davis both agree - there's no other routes they'd rather ride. So a prize that celebrates those services can only be a boost. The route dates back to many years before the Transdev Yorkshire Coastliner operation an example here from the days of the National Bus Company during the 1970s and 80s.